The years leading up to menopause, known as perimenopause, as well as menopause proper, may cause a wide variety of unusual or unpleasant physical and emotional symptoms, some of which can be very intrusive and disruptive to daily life. Fortunately, there are treatment options available to help ease symptoms during the menopausal transitional period, one of which is bioidentical hormones. Making the decision to take bioidentical hormones is one that needs to be carefully weighed between you and your health care provider to make sure that this type of hormonal replacement therapy (HRT) may be appropriate for your individual situation. Bioidentical hormones are substances derived from natural plant sources, such as soy and wild yam root, that mimic the effects of natural hormones that your body produces. They are aptly named 'bioidenticals' because they are biologically identical to the natural hormones produced by your body. Bioidentical hormones can reduce or eliminate symptoms of menopause, according to a Women's Health Initiative study. Most women experience menopausal symptoms, however, the degree of severity varies widely. Symptoms can begin as early as age 35, and either progressively increase, or wax and wane. This time frame is referred to as perimenopause, as a woman is not considered to be actually menopausal until she has gone without a menstrual period for an entire year. 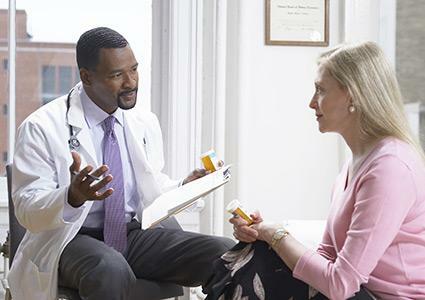 Some in the medical community hold that bioidentical hormones are safer than synthetic HRT. For example, Dr. Kent Holtorf of Holtorf Medical Group states that "medical evidence demonstrates that bioidentical hormones are safer and more efficacious forms of HRT than commonly used synthetic versions." However, Harvard Women's Health Watch indicates that there is no substantial evidence to support the claim that bioidenticals may be safer to use than synthetics. According to Harvard Medical School, more research is needed to determine the safety and efficacy of bioidentical hormones in comparison with traditional hormone replacement therapy in the treatment of menopausal symptoms. While bioidentical hormone replacement therapy can provide effective relief for many women experiencing symptoms associated with menopause, bioidentical therapy may be contraindicated for some. Certain cancers are fueled by hormones, according to Oncolink.org, and because bioidentical hormones mimic the effects of natural estrogens that women produce, according to a report published by CBS News, they may have the potential to raise the risk of malignancy. The American Cancer Society states that bioidentical hormones may have the same health risks as any other type of hormone replacement therapy. Therefore, women who have either a personal or family history of gynecological cancers such as breast cancer, uterine cancer, or endometrial cancer, may not be appropriate candidates for bioidentical hormone replacement therapy, and should speak to their physicians to learn more about the risks. According to a study published on ScienceDaily.com, women taking an oral bioidentical form of estrogen known as estradiol may be lowering their risks of having a stroke. The study further explained that women who receive bioidentical estradiol delivered through a patch may also have a slightly lower risk of heart disease. According to the Journal of the American Board of Family Medicine, however, the claim that bioidentical hormonal replacement therapy reduces the risk of coronary artery disease, stroke, breast cancer, and blood clots, have not been substantiated by scientific research. If you experience side effects while taking bioidentical hormones, notify your health care provider. You may need to have your prescription modified, or your physician may recommend a different method of treatment to manage your menopausal symptoms. Although certain bioidentical hormones are available as over-the-counter preparations, most require a physician's prescription. An example of a progesterone-based over-the-counter bioidentical includes progesterone cream. Estrogen/Estriol bioidentical preparations are also available without a prescription. According to the National Institutes of Health, these preparations are regulated as cosmetics, and not drugs. When considering over-the-counter bioidenticals, people should speak with their health care providers first, before deciding to begin this type of treatment. The majority of bioidentical hormone prescriptions can be filled at regular pharmacies, though some may only be available at special compounding pharmacies. Bioidentical hormones are individually customized to tailor a woman's hormonal needs based on the results of certain diagnostic medical tests, such as saliva, blood, or urine tests. Like with synthetic HRT, the route of administration for bioidentical hormones includes oral, vaginal preparations, dermal patches, as well as gels, lotions, and creams. Not all delivery routes are appropriate for all women, as some may cause adverse reactions at the application site. If one route of administration causes irritation, redness, or itching, the health care provider can recommend a different route of administration. Some women are unable to use dermal patches because of allergic conditions, so for these women, topical gels or vaginal creams may be tolerated better. Bioidentical hormones are extracted via plant sources such as wild yam root and soy, while most synthetic hormones are produced from the urine of pregnant mares, as well as progestin. Synthetic hormones are regulated by the Food and Drug Administration, while bioidentical hormones are not. Both types of hormone replacement therapies can be delivered orally, vaginally, or dermally, and are both used in the treatment of menopausal symptoms. The shape and molecular composition of synthetic hormones are not recognized by the human body because they are altered chemically, however, bioidentical hormones are molecularly similar to your own natural hormones. Like bioidentical hormones, a number of standard synthetic hormones are also derived from plant sources, according to Mayo Clinic. Each type of hormone replacement therapy require pre-dosing hormonal evaluation to determine the most appropriate dosage. Before women decide to take bioidentical hormones, they need to discuss their treatment options with their doctors. Make sure that you are fully informed about common side effects of the recommended treatment. If you are going to use a bioidentical cream or gel, find out about any possible risks to children or pets from accidental transfer of the substance. If their local pharmacies are able to fill their prescriptions. Although menopausal symptoms can be unpleasant, they can be well-managed with traditional, complementary, and alternative treatment options, as recommended by the health care provider. Work closely with your physician to identify your best options.